Iranian military commander says Iranians will punch Secretary of State in the mouth after he threatened Iran with unprecedented sanctions. A senior Iranian military commander on Tuesday threatened that Iranians would punch U.S. Secretary of State Mike Pompeo in the mouth, a day after the top American diplomat announced that Washington would impose unprecedented sanctions against the Islamic Republic. 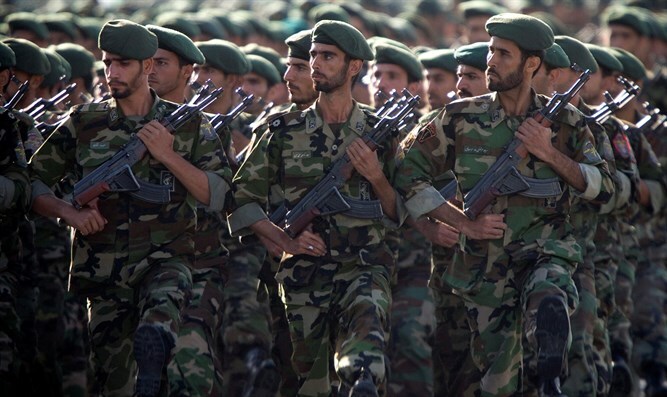 “The people of Iran should stand united in the face of this and they will deliver a strong punch to the mouth of the American Secretary of State and anyone who backs them,” Ismail Kowsari, the deputy commander of the Sarollah Revolutionary Guards base in Tehran said, as quoted by Reuters. “Soleimani is not a single person. The great people of Iran support him,” he declared, according to Reuters. In his remarks on Monday, Pompeo outlined 12 requirements for Iran, including total access throughout the country for the International Atomic Energy Agency, the release of all Americans held in Iran, an end to funding groups labeled as terrorist organizations by the U.S. and the cessation of other destabilizing activities in the region. Iranian Foreign Minister Mohammad Javad Zarif ripped the United States following Pompeo’s speech and described its foreign diplomacy as a “sham”. “U.S. diplomacy sham is merely a regression to old habits: imprisoned by delusions & failed policies—dictated by corrupt Special Interest—it repeats the same wrong choices and will thus reap the same ill rewards. Iran, meanwhile, is working with partners for post-U.S. JCPOA solutions,” tweeted Zarif. On Tuesday, Pompeo said that the demands he made of Iran are not that difficult to implement.